A major new discovery has the scientific world buzzing, and it could alter our understanding of the evolution between dinos and birds. A big discovery in China’s Gobi desert involving 19 dinosaur skeletons that are about 160 million years old could explain how dinosaurs eventually turned into birds with beaks and no teeth. The species in question, Limusaurus inextricabilis, was apparently a meat eater when it was a baby and then lost its teeth and became a herbivore in adulthood, states the paper, which was published in the journal Current Biology. The skeletons came from dinosaurs that died after getting stuck in mud in China’s Xinjiang Province, providing a rare opportunity for scientists to compare the skeletons of young dinos and their adult version. They found small, sharp teeth on the adolescent skeletons but not on the adults, according to a George Washington University statement. 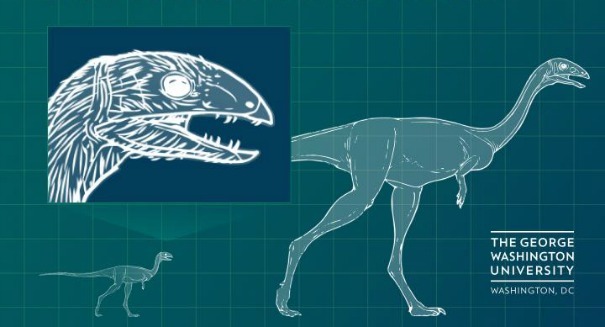 The findings indicate that the baby dinosaurs were carnivores and then switches to plant-eaters once they reached adulthood, and it could shed some light on how birds lost their teeth through evolution, as dinosaurs are believed to be their ancestors.